Garlic (Allium sativum) is one of the oldest known cultivated crops which has been in use for over 7000 years. It’s related to onion, shallot, leek and chives. It’s one of the most odiferous root vegetables and is an indispensable seasoning agent and condiment used virtually in all cuisines, worldwide. After onion, garlic is the second most widely used cultivated Allium species. The garlic plant is an erect herb, up to 150cm high, usually grown as an annual from small bulbs (cloves). The real stem is very short and is situated at the base of the plant in the form of a disk, with adventitious roots arising from it. The bulb is wrapped in a loose, crackly outer skin that encloses small sections called cloves that are individually enclosed by tight-fitting papery sheaths. Garlics characteristic odour and flavour is due to presence of sulphur compounds. Garlic is believed to originate from Central Asia (Kazakhstan, Uzbekistan and western China).It later spread to the Mediterranean in ancient times. It was already grown in Egypt in 1600 BC and is an ancient crop in India and China. Ancient Egyptians used it for culinary and medicinal purposes. Presently garlic is grown all over the world from the equator to latitudes of 50° in both hemispheres, but is most popular in China, the Mediterranean and Latin America. In tropical Africa, garlic is grown in the Sahel, during the cold season and at high elevations in East and southern Africa. Garlic is rarely, if ever, found in hot and humid lowlands. 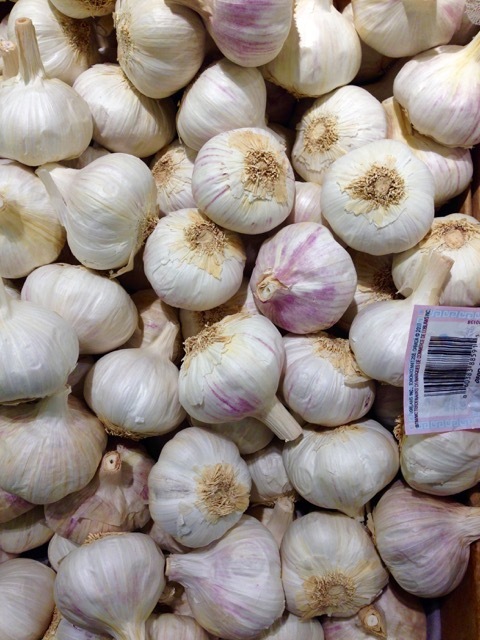 China produces 81% of the world garlic, India (4.6%), South Korea (1.4%) and Egypt (1.2%). The principal exporting countries are Spain and Argentina, and more recently China. The United States is an exporter of dehydrated garlic. 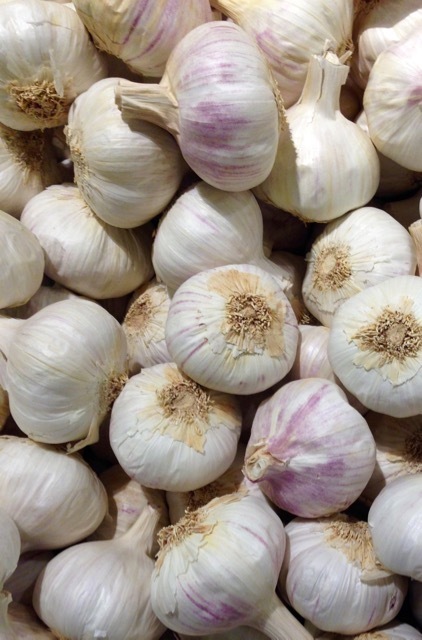 There are many hundreds of distinct garlic cultivars, that suit different climates. Over 600 have been named and can be classified into two main subspecies and 10-11 major horticultural groups.These groupings are not universally accepted and DNA research is constantly being refined and methods updated. subspecies sativum, also referred to as soft neck or non-bolting garlic. It’s grown closer to equator and includes artichoke, silverskin and creole garlics. subspecies ophioscorodon, also referred to as hard neck or bolting garlic. It includes porcelain garlics, rocambole and purple stripes, grown in the cooler climates. Molecular analysis of garlic confirms that most garlic cultivars fall into genetic clusters (groups of cultivars that share genetic similarity). These groupings are also associated with shared observable morphological characteristics. With our current understanding, there are eleven of these horticultural groups. Most garlic will likely belong to one of these eleven horticultural groups, and most specialty growers offer at least one cultivar in most of these groups. Four of the horticultural groups, Turban, Creole, Asiatic and Middle Eastern, are weakly bolting garlic. Weakly bolting garlic produce a scape when stressed by cold conditions. 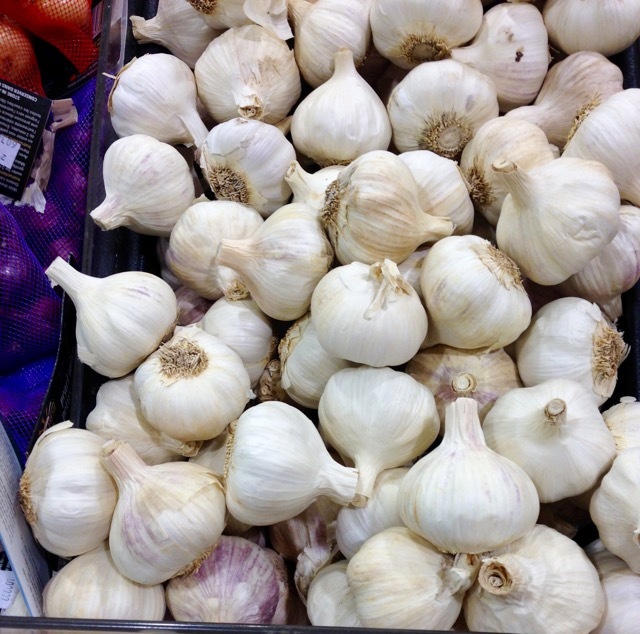 Most of the garlic in the supermarket are from the Artichoke group. Many big commercial growers only grow Artichoke garlics because of their wide adaptation and ease of growth. They have a milder flavour and may have larger and fewer cloves than silverskin cultivars. Cultivars in the silverskin group have a strong flavour, are easy to grow and store well under the right conditions (up to 1 year). On the negative side, the taste can be hot, sulfurously aggressive, a bit acrid, and lacking in nuanced complexity. Many of the Creole cultivars in the United States originated in Spain. They are known as “sweet” tasting garlics, particularly after lengthy storage, though some cultivars can be quite hot as well. Middle Eastern cultivars are native to the middle east and are ill-suited for growing in the North American Continent. They have small bulbs with multiple clove layers and numerous tiny cloves. Cultivars in the Purple Stripe group are genetically the closest to wild garlic and garlic’s ancestral roots. Many of the Rocambole cultivars offer the unique rich “sweetness” that, along with their easy peeling properties, makes them a favourite in the culinary world. Some Porcelain cultivars are especially high in sulphur compounds, healthy to the body, and their huge cloves make for quick work in the kitchen. This is the first year I grew my own garlic! We love it and use it in almost everything. I’ve never grown garlic, but you’ve inspired me to try. I cook with garlic every single day, but I usually buy it. Thanks for the tip. No I’ve never eaten black garlic, but I would really love to!